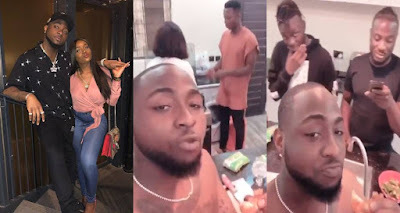 Davido's girlfriend, Chioma, received praise from the musician who could not thank her enough for finding the time to cook a delicious meal for him and his friends. Chioma who is also a chef did not find it difficult to water the mouth of Davido and his friends with the delicious meal. The singer 'IF' yesterday shared a video of Chioma in the kitchen, making food for him and his team.